A few military-themed (and almost-military-themed) notes before Saturday’s prime-time UFC card. A word from an ‘El Conquistador’ sponsor: Former soldier Jorge Rivera retired last week after stopping Eric Shafer in the second round at the inaugural UFC on FX event. The win wrapped up a mixed martial arts career that began in 2001 and ended with a 20-9 record, according to Sherdog. We could try to recap his time in the cage, but instead, read this from Rivera’s longtime friend and sponsor Nick Palmisciano, the founder of the Ranger Up apparel line. Military Times EDGE has profiled Palmisciano before — his success story may not involve quite as many bruises as Rivera’s, but it’s worth a look regardless. A fan of both the fighter and the gear? Palmisciano has the perfect way to celebrate. Battle of bad guys? About a year before his retirement, Rivera lost at UFC 127 in Australia via a controversial second-round stoppage at the hands of Michael “The Count” Bisping. Bisping hit Rivera with an illegal knee in the first round and was docked a point, but the bout was allowed to continue; since then, Rivera has said the blow was intentional, and that it may have hurt him more than he let on at the time. So, that’s one middleweight former soldier out of The Count’s corner. And you can probably add Tim Kennedy to that list, as we outlined earlier this month. Still, Bisping will have his share of fans Saturday night when he faces off with Chael Sonnen on Fox (also on AFN xtra, according to the American Forces Network website). Sonnen beat former Marine Brian Stann in October at UFC 136 via second-round submission and has been a polarizing figure in the UFC for years, especially after failing a drug test following his 2010 loss to middleweight champ Anderson Silva at UFC 117. 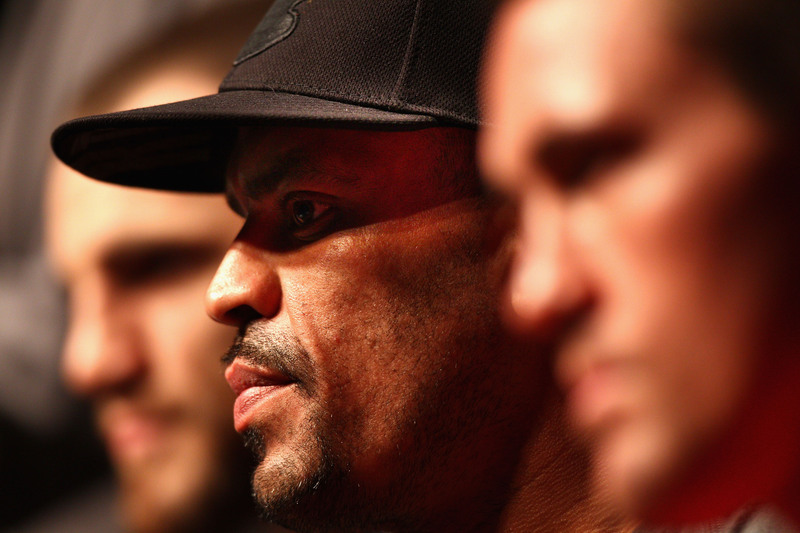 The Bisping-Sonnen winner will get a chance at Silva down the line, and the winner of Saturday’s light-heavyweight main event between Phil Davis and Rashad Evans earns a shot at champion Jon “Bones” Jones. More military in XFC: We told you about former Army combatives champ Brandon Sayles participating in XFC 16: High Stakes next month. The Feb. 10 card will give a number of young fighters national exposure via HDNet, and Sayles won’t be the only vet taking part. Read the XFC release on former Marine Dustin West’s bout here, and check out a feel-good 2010 story on West’s charity efforts here.